Phoenix Sky Harbor International Airport maintains its high bond ratings. Moody’s Investors Service maintained Phoenix Sky Harbor International Airport’s bond ratings on the Airport’s senior (Aa3) and junior (A1) liens. Moody’s upgraded the airport’s rental car bonds to ‘A2’ as a result of regular growth in transaction days, and strong bond coverage and liquidity. The ‘A2’ rating on the rental car bonds is the highest rating among the 16 standalone facilities rated by Moody’s. Uptown Phoenix lands boutique hotel project, Arrive Hotel when two midcentury gems will be transformed into the stylish boutique Arrive Phoenix. Days after being named the Valley&apos;s &apos;hottest intersection&apos; by the Urban Land Institute of Arizona, Vintage Partners, who led the redevelopment efforts at Uptown Plaza, is set to bring another groundbreaking project to Central Ave. & Camelback Rd. Named Arrive Phoenix, this stylish boutique hotel and dining destination will be housed inside a pair of architecturally significant yet long-neglected midcentury modern mid-rises which will be transformed into a singular and striking 79-room property. Arrive Phoenix will also host a boutique coffee shop, a poolside taco bar, a gourmet ice creamery, and a nautical-themed rooftop craft cocktail bar featuring sweeping 360-degree city views. Seamlessly stitched into the neighboring The Newton project (home to a bookstore/bar, restaurant, event space and more), Arrive Phoenix will transform this trio of restored midcentury gems into Uptown Phoenix&apos;s first-ever dining, entertainment and urban hotel hub totaling just over 2 acres and 45,000 square feet, this $20M project is expected to be completed in 2018. The Studio at FOUND:RE, a unique boutique hotel, has announced its latest exhibit: I Will Find You from local artist Ronna Nemitz, opening November 3. Every component of I Will Find You references water in some way, from the sculptural elements to the looped video. The installation is part of Amnesia and Other Stories, an ongoing multi-media project that examines life cycles of loss and manipulates photographic portraits to visualize the operation of memory. Let’s raise a toast to autumn. Whether you are a novice or a long-standing Scotch enthusiast, the Third Annual Masters of Scotch Autumn Tasting Series is the place to be. It will be hosted at The Scotch Library at The Westin Kierland Resort & Spa, and it will feature provides a fun and informative evening sampling Scotch whiskies in hour-long presentations led by Scotch experts. Ardbeg, which has been made on the small Isle of Islay for more than 200 years will be featured on November 16; and Balvenie, one of the best-known whiskies hailing from the Scottish Highlands will be featured on December 14. The Scotch Library Master Tastings each begin at 6:30 p.m. and are priced at $65 per person (excluding tax and gratuity, and reservations are required. Hilton Phoenix/Mesa is known for its unbeatable amenities, spacious rooms and suites, and its proximity to Phoenix attractions. Now it is pleasing guests with a complete property renovation. Renovations include all guest rooms, exterior paint, meeting space, lobby and the restaurant. It will also include a Starbucks and the Executive Lounge will be relocated to the lobby area. The complete property renovation is set to be completed by December 2017. One of Arizona’s most iconic resorts The Phoenician opens its newest restaurant concept, Mowry & Cotton, featuring everyday vibes and a seasonally inspired menu by emerging chef Tandy Peterson. Outfitted for the modern rebel, Mowry & Cotton is a departure from the traditional luxury scene at The Phoenician, providing an inviting, unintimidating spot to kick up one’s feet and break bread with friends and neighbors. Bold and original, the eatery offers an expansive indoor/outdoor dining space with seating for up to 340, while carefully tailored accoutrements and contemporary takes on an Old West aesthetic combine to create a comfortable, welcome addition to the AAA Five Diamond resort. With its admirable service, fine amenities and scenic views, it’s no surprise that The Hermosa Inn is recognized as being an ideal place to stay. Condé Nast Traveler recently announced the results of its 30th annual Readers’ Choice Awards with The Hermosa Inn recognized as #9 of the 10 Best Hotels in the U.S. and #1 in the Top Hotels in the Southwest and West, with a score of 97.38. Over 300,000 readers submitted millions of ratings and tens of thousands of comments, voting on a record-breaking 7,320 hotels and resorts, 610 cities, 225 islands, 468 cruise ships, 158 airlines, and 195 airports. This boutique hideaway completed the second phase of the $5.5 million-dollar renovation earlier this year, which included the addition of 10 deluxe hideaway casitas and the complete restoration of 12 historic rancho casitas, increasing the hotel&apos;s number of hacienda-style accommodations and casitas to 43. Princess #LoveUp Holiday Package at the Fairmont Scottsdale Princess. It’s the most wonderful time of the year for families to give back. This holiday season, the Fairmont Scottsdale Princess is partnering with COX Charities to support the #LoveUp Foundation. #LoveUp is a rapidly growing movement which provides the means to pay it forward by spreading kindness and compassion to one other while aiding in the mission to provide a fulfilled life rich with the love and experience each child deserves. The Princess #LoveUp Holiday Package includes: accommodations in a luxuriously appointed Fairmont Room; $50 daily resort credit valid for use at: Well & Being Spa; holiday shopping at any Fairmont retail outlet; all resort food and beverage outlets or ice skating; Exclusive commemorative #LoveUp teddy bear (1 per stay); Up to 2 Adult and 3 Child passes, providing ‘VIP lane access’ to select Christmas at the Princess attractions; and One-hour early access to designated festival amenities, including: Photos with Santa (photo package fees apply), Private holiday character meet-and-greet, Skating at Desert Ice Skating Rink*, Frosty’s Ferris Wheel, Polar Glide Ice Slide and Christmas Carousel. Rates starting from $199. Join Phoenix New Times for a beer-tastic time at the 4th Annual NovemBEER Festival. Attendees will be in awe with 50 breweries serving over 120 beer options, and recent additions like Barrio Brewing Company, Phoenix Ale Brewery, Golden Road Brewing, Four Peaks Brewing Company and many more. The NovemBEER Festival will be held on Nov. 11 from 1 p.m. – 5 p.m. in Downtown Phoenix on Adams St. between 2nd St. & Central Ave. Tickets are available for purchase. What better way to enjoy Phoenix’s fabulous winter weather than at the seventh annual Arizona Cocktail Week-End? From Feb. 17 – 19, shake up some fun at the festival’s new location in Downtown Phoenix. The 2018 Arizona Cocktail Week-End kicks off on Feb. 17 with an all-new opening night party "The Cocktail Jam,” hosted at The Van Buren. The Cocktail Jam will pair trending spirit brands, amazingly crafted cocktails with live music to create a one of kind experience. Then on Feb. 18, it&apos;s the return of Top Bars, showcasing pop-up versions of renowned bars from across the globe, hosted at The Croft. Furthermore, top lounges, bars and restaurants across downtown will be hosting AZCW events, dinners and exclusive cocktail tastings. Participating venues include Bitter & Twisted Cocktail Parlour, Blue Hound, Lustre Rooftop Bar, Chick Malo, Nook Kitchen, Arrogant Butcher and many other iconic downtown spots. Culinary and beverage leaders come together at what has been named “Best Southwestern Culinary Festival” by the New York Times. The 2018 Devour Culinary Classic is one of Arizona’s most collaborative and creative food-centered events, and it focuses on connecting local culinary culture while bringing together the culinary and beverage leaders who are establishing Arizona as a sought-after destination. 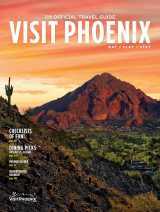 who are establishing Arizona as a sought-after destination. New this year is a duo of curated experiences held during the length of each day of the Devour Culinary Classic includes: Heritage Foods Experience, which brings together Arizona’s favorite chefs who are rooted deep in the desert to create an all-day experience that allows guests to dig deep into Arizona’s food history; and the Arizona Beverage Experience, where fans of Arizona wine and brews will be delighted to sip on this. The main event will take place on March 3 & 4 from 10:30 a.m. – 3:30 p.m. at the Desert Botanical Garden. In honor of all the men and women who have served our nation, join Pueblo Grande Museum for the 18th Annual Veterans Day Gourd Dance taking place on Nov. 11 and is free to the public. Gourd dancing is conducted by the Arizona Territory Gourd Society, a non-profit group of American Indian United States War Veterans and their families who celebrate and support the local Arizona veteran community. Joining the Gourd Dance this year to honor our veterans is Native American actor Rick Mora of the Yaqui and Apache Nations with United States Marine Corps Veteran and actor Saginaw Grant of the Sac and Fox Nation. But that’s not all happening in November. Other events include: The Park of Four Waters tour on Nov. 24 which takes guests on a walk through undeveloped, natural desert to the ruins of prehistoric Hohokam canal systems; The Petroglyph Discover Hike at South Mountain on Nov. 25 which leads participants on a quick one-mile, one-hour interpretive hike that’s perfect for all ages and busy schedules. Get ready for a dino-tastic time at the Phoenix Zoo’s Dinosaurs in the Desert. Stroll around and gaze at the 23 prehistoric creatures on display at the zoo’s Desert Lives Trail. This unforgettable self-guided expedition into the land of the lost is not to be missed. Dinosaurs in the Desert is on display now through April 30. Art and nature are intertwined during the enchanting return of MOMIX’s Opus Cactus. With only three performances from Jan. 12-13, Ballet Arizona and Desert Botanical Garden invites audiences on a dynamic journey where MOMIX’s dancers’ bodies become towering cacti and bring the landscape of the American Southwest to life through the illusionistic style of critically acclaimed Opus Cactus. Tickets start at $35. Explore the natural beauty of the state of Arizona and learn about the history of the nation’s indigenous tribes with newly-launched DETOURS Native America. DETOURS Native America aims to connect non-natives to the history of Indigenous Americans through remarkable tour experiences. These small group tours offer exclusive access and a local look into the dozens of Native Tribes in the American West. Itineraries will begin in 2018, exploring destinations like Canyon de Chelly, Monument Valley, Mesa Verde National Park, Navajo Nation, Window Rock, Antelope Canyon, Hubbell Trading Post and many more. Scheduled tours are based on four themes: Tribal Arizona, Navajoland, A Season of Festivals, and Donovan’s DETOUR. Bootleggers and booze lovers are welcome to this prohibition-themed celebration. The Arizona Craft Brewers Guild will partner with Arizona’s award-winning breweries to present the second-annual Arizona Brewers Ball on Saturday, Nov. 18. This year, guests are invited to dress in their best 1920s-inspired garb for the prohibition-themed celebration, which will bring together more than 30 breweries from across the state to celebrate the continued growth and success of Arizona’s craft beer industry. The Brewers Ball will be held from 6 p.m. - 10 p.m. at Warehouse 215, and tickets and VIP table reservations are currently available for purchase. Desert beauty, glimmering lights and unique entertainment. Las Noches de las Luminarias at Desert Botanical Garden will feature more than 8,000 hand lit luminaria bags, thousands of white twinkle lights and the sights and sounds of 10 unique entertainment ensembles. The southwest elegance and beauty of the Garden at night, will remind guests of what the season is all about. Las Noches de las Luminarias will take place Nov. 24 – Dec. 30 (on select dates), from 5:30 p.m. – 9:30 p.m. Tickets are currently available for purchase. Light up the night at ZooLights at the Phoenix Zoo. Guests will embrace their holiday spirit while Zoolights shines with millions of lights, a three-story, awe-inspiring light displays and lakeside Music-in-Motion shows. Guests of all ages will take delight in festive food and drinks, photos with Santa Claus and snowfall at 7 p.m. ZooLights will be on display Nov.22- Jan. 14 from 5:30 p.m. – 10:30 p.m. Tickets are currently available; additional fees may apply. Looking for plans? Look no further because The Park has you covered. From live music to movie nights, The Park has exciting events for everyone. Enjoy food, music and a little friendly competition at Dueling Piano Night on Nov. 18 at 7 p.m. There is no cover for the event, and 2-for1 entrees will be available with a reservation. The Park also presents movie night every Tuesday, and on Nov. 7 guests can enjoy Coming to America and on Nov. 21 guests can dance along to Footloose. Free popcorn will be available, and 2-for-1 entrees are available with a reservation. Join the fun with juried artists, delectable food and live entertainment at the 24th Annual ArtFest of Scottsdale -- bringing the best of the artists’ community to the Valley of the Sun. Festival goers will enjoy over 180 fine artists selling their masterpieces, local musicians and food vendors representing a variety of cultural tastes. The festival will feature two live stages, an interactive kids’ zone, local non-profit book sale and other local community organizations that will help at the event. The ArtFest of Scottsdale will be held at the Scottsdale Civic Center Plaza on Nov. 18 - 19 from 10 a.m. - 5 p.m. Get ready for the most wonderful time of the year. Skate Westgate, the West Valley&apos;s only real outdoor ice skating rink, is back for its second year at Westgate Entertainment District along with an expansive holiday lineup of free festivities all season long including outdoor ice skating, and a number of free festivities including horse-drawn carriage rides, nightly snowfall and Menorah lighting. Guests are invited to help break the ice at Skate Westgate on Nov. 21 for the opening of the ice rink after a professional skating performance, Santa’s arrival and the lighting of the towering 36-foot holiday tree. Skate Westgate will continue until Jan. 7. Calling all fans of action and adrenaline. Monster Jam is back for another exciting weekend event with even bigger trucks and more excitement. On Feb. 3, 2018, Monster Jam takes center stage in at the University of Phoenix Stadium, sporting meticulously manicured dirt tracks created with the sole purpose of pushing these perfectly engineered, larger-than-life 12,000 pound trucks to the limit. Monster Jam is one of the only sports where male and female world-class drivers, some generational rivals, are equals competing for the same championship on the same track. New in 2018 across all Monster Jam events, fans will have the chance to vote for the truck winner in the donut, wheelie and freestyle competitions by real-time, in-arena fan voting on their smartphones. Live It Well Spa 3-Day Retreat Package offered at Fairmont Scottsdale Princess. Set amid the sun-drenched Sonoran Desert and majestic McDowell Mountains, the Fairmont Scottsdale Princess is a majestic 65-acre retreat, ideal for taking time out to revitalize mind, body and soul. With the Live It Well Spa 3-Day Retreat, everything you need to escape the hustle and bustle of your busy life and relax and recharge is included. From healthy to decadent, begin each day the right way with breakfast for two. Then, experience the ultimate pampering with two 60-minute spa treatments at world renowned Well & Being Spa, with full access to amenities including adults-only rooftop pool, co-ed waterfall grotto, hot therapeutic whirlpool, cold plunge pool, eucalyptus inhalation room, Swedish dry Sauna, Swiss shower and more. Rates starting at $372 single occupancy and $465 double occupancy. Modern farm with a contemporary twist is making its way to Phoenix. Farm & Craft is focused on healthy and sustainable food in a community-style atmosphere, and the new restaurant will be similar to the Scottsdale location in that it will be a full-service restaurant at night and a fast-casual environment during the day. The restaurant is projected to open by the beginning of 2018. Burger lovers rejoice. Caveman Burgers has introduced eight new specialty burgers including The Savory Toothed with peanut butter and ghost pepper aioli, the Captain Caveman with a locally sourced duck egg, and more. Caveman Burgers believes in simple food, and prides itself in its high-quality natural meats, fresh produce, bold spices and locally-baked bread. In need of comfort food and craft cocktails? The recently opened 2601 on Central puts a Southwestern twist on comfort food with a variety of delicious dishes and cocktails. 2601 on Central leaves guests satisfied for brunch, lunch and dinner, and it prides itself in its quality ingredients. From Brioche French Toast to Not Yo Mama’s Mac & Cheese, 2601 on Central is sure to have something for everyone. It’s time to get in the spirit with High Spirited Cupcakes at Bitter & Twisted Cocktail Parlour. These irresistible boozy cupcakes were once only available at the bar, but now Bitter & Twisted has officially opened its cupcake kitchen for orders. With flavors like Tekeylime Pie made with tequila, Black Velvet Band made with whiskey and Bailey’s, and more, the treats are perfect for birthdays, office parties and other celebrations. Because each treat is made to order, orders for the moment must be made in quantities of a dozen per flavor. Nonalcoholic cupcakes are available for request. What’s better than tasty Thai on the go? With four locations already in the East Valley, Thai Chili 2 Go is introducing a new location set to open in late November. Menu choices include starters such as Spring Rolls, Dumplings and two varieties of Thai Hot and Sour Soup, as well as a variety of familiar and traditional main entrée dishes including Pad Prig Pao, Spicy Eggplant, Red Curry, Panang Curry, Drunken Noodles, Thai Chow mein and more. To make ordering and dining quick and convenient, Thai Chili 2 Go offers an advanced mobile app, online orders with “skip the line” pick-up option, and delivery partners such as UberEats, Postmates, Door Dash and GrubHub for those that prefer their Thai be delivered right to their door. Thai Chili 2 Go is open daily from 11 a.m. – 9 p.m. If the return of cooler temps isn’t enough to generate excitement about autumn, then take a seat at The Gladly and warm up with its new seasonal menu. With new starters such as Shrimp and Grits, and new specialties brunch, lunch and dinner such as Brioche French Toast, Little Miss BBQ Tacos and Oaxacan Chile Short Rib, guests are sure to leave feeling satisfied. Named one of Phoenix’s best new restaurants, The Gladly is the place to delicious food, unbeatable drinks and a welcoming atmosphere. Chips and salsa, anyone? Woody’s Macayo has officially opened and guests can enjoy Enjoy the same Macayo Mexican Restaurants’ foundation and family recipes used over the last 70 years, with some new items added from work with Consulting Chef, Brian Feirstein. In addition to the delicious food and beverages, guests will love the Build Your Own Margarita, where they get to choose their own tequila and liqueur. Head to Woody’s Macayos and indulge in unbeatable food, drink and atmosphere. Featuring the top 36 players of the season, the Charles Schwab Cup Championship in Phoenix is the culmination of the PGA TOUR Champions road to the Charles Schwab Cup, a year-long competition that ends with the Charles Schwab Cup playoffs. The winner of the tournament, as well as the year-long Charles Schwab Cup Champion, will be crowned at Phoenix Country Club on Nov. 12, 2017. The Charles Schwab Cup Championship boasts an illustrious list of champions including two-time winners Hale Irwin, Tom Watson, Jay Haas, Kenny Perry, Tom Lehman, and Bernhard Langer. Occurring daily from Nov. 10-12, fans are encouraged to venture out on course to witness great views of this prestigious venue right in the heart of downtown Phoenix. Visit the Michelob Ultra Pop-Up Bar for a premium beverage or experience The Taste of Schwab presented by The Vig, showcasing local Phoenix restaurants at your fingertips. Fans in the mood for a glass of wine or a cold beer shouldn’t forget to stop by the 19th Hole presented by 19 Crimes Wine or the Four Peaks Brewery Beer Garden, offering local beer originating in Phoenix.